Tagged under Nickelodeon, Non-Anime, Series. I enjoyed the first series so I wanted to check this out. So far I like it. I like that this time around we have a main female character. There's a nice balance of comedy and action here too. I even sense the beginning of romance between Korra and Mako.^^ I think/hope they'll end up a couple because they obviously like eachother. :) Bolin is really silly. Pity. It tried, but couldn't live up to the original at all. I'll give them some credit for that ending though, bold for Nick. 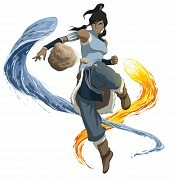 I have seen all of the Korra episodes that are currently out (Book 1). I fully intend to watch all 4 books once they are released, even though I think there are lots of things about the first Book they could have done better (mainly the characters). 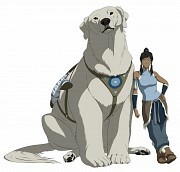 No feedback on The Legend of Korra.